If you have an iPod Nano, it says that it can speed up its audiobooks to 2x speed, but it is lying to you. The iPod’s supposed 2x speed for audiobooks and podcasts is actually only 1.5x at most. I don’t know why they’ve done this. 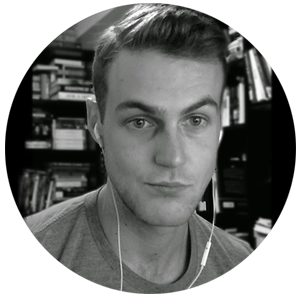 When I started actually using my iPhone to listen to audiobooks, I became spoiled by its ability to speed up and play its audiobooks at 2x speed in its iBooks app and in iOS’s default iTunes-based Podcasts app. You can even speed up the playback of some audiobooks to 3x speed if you use an Audible book in Audible app. * Obviously, speeding up audiobooks to 3x their regular speed takes some getting used to, but there are times — say, when you’re trying to remind yourself about various elements in a Victorian novel you’ve already reading — when you do want to just breeze through those longer books. * Note that 3x only really works for books fromAudible (i.e. not regular old audiobook files in iTunes you import into the Audible app), which makes me suspect there are some extra algorithms this post can’t account for. This post is about speeding things up to 2x to 2.5x. Although somehow Audible pulls it off, I can’t get it to go any faster without it sounding insane. For DIY, 3x is just flying too close to the sun. That’s all a long way of saying I’d prefer to use the small, clip-on Nano, but without giving up the speed of the audiobook or podcast. You need to speed things up in a way where your sped-up audiobook narrator doesn’t sound like Alvin from Alvin and the Chipmunks, but to do this, you have to do a few different things to each file: you need to adjust the speed, but also the pitch and tempo. So you need a solution that can do multiple things to MP3 files in a totally automated way. As it turns out, you can use Audacity to do this. I first saw this Lifehacker article that shows you how to bulk speed up audiobooks and MP3s using the free and open source Audacity app. Although those Lifehacker screenshots look like they’re on Windows, I used the Mac version 2.1.2 with no problems at any stage. That article is the basis for what I recommend below. In Lifehacker’s instructions, they recommend speeding up the audiobook file’s tempo instead of the audiobook’s speed, in order to avoid the aforementioned chipmunk effect. I tried increasing only the tempo at first, but the result just sounds weird to me. It becomes slightly garbled and hard to understand for anything beyond a slight improvement. To counteract this, I tried adjusting both the audiobook’s speed and its tempo… I figured I could do with “a bit” of the chipmunk effect. Turns out that, no, even a “bit” of the chipmunk effect is extremely annoying. Then, huzzah! I came across this video on Youtube. Basically, according to that video, it is the podcast’s/audiobook’s speed you adjust, but after you speed up the mp3 by a given percentage, you also adjust the pitch down by that very same percentage. In other words, if you increase the speed (moving the slider to the right), you have decrease the pitch (move the slider left) by the same amount. Once you do that, you’re golden. Increase the speed by [X] percent. Decrease the pitch by [X] percent, to compensate. Increase the tempo by [Y] percent. This gives us a nice balance. You can play with the actual numbers to figure what kind of speed will work best for you. If it makes it easy, you can just use the same number for everything: increase the speed by 18%, decrease the pitch by 18%, and increase the tempo by 18%. Keep in mind that if you are going to be using an iPod Nano or MP3 player that can already speed up your audiobooks or podcasts by 1.5x by default, you don’t actually need to speed your files up by 2x or more; you just need to speed them up by a factor that, when it is in turn sped up by the Nano by a factor of 1.5, will give you the top speed you want. For example, if you wanted a final “top speed” of 2.5x, then once you factor in the additional 1.5x the Nano can do itself, you only need an initial adjustment from Audacity of 1.6666x the regular speed, because the 1.6666 from Audacity, multiplied by the additional 1.5 from the Nano, will give you a total of 2.5 times the regular speed. At the same time, if you plan to listen to podcasts on your desktop computer’s version of iTunes, the desktop version of iTunes (at this time) can’t speed things up at all. 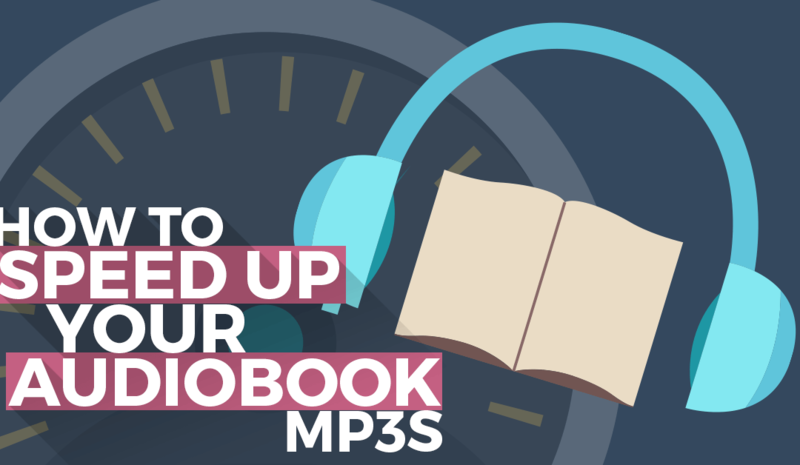 You need your podcast or audiobook files to be in MP3 format. If you’re a real cool person who likes saving money, and your audiobooks are from Librivox, this shouldn’t be a problem, because they’re in MP3 to begin with. But keep in mind that Librivox recordings are not professionally done. In and of themselves they take some getting used to. Getting used to them at a super fast speed is even more difficult. So if you use MP3 audiobook files form Librivox, don’t speed them up as much. If your files are not in MP3, Audacity can convert some formats to MP3 for you. Some formats might need an app like AlltoMP3 or something. Some formats might get difficult with DRM, especially if they’re downloaded from Audible or elsewhere online. I don’t actually know what the legalities of that are. Use Google. If you’re doing this for podcasts, you’ll be able to get MP3s somewhere on your computer. Go to iTunes, right click (or command click or whatever) on the podcast file, and click “Show in Finder” (or “Show in Windows Explorer” in Windows). You’ll find all the mp3s for that podcast. You’ll be setting up “chains” of actions in Audacity. In Audacity, click File > Edit Chains. From there, click “Add” in the lower left, and name the new chain whatever you want. Back in the “Edit Chains” screen, you can click “Move Up” and “Move Down” to get them in the right order. Based on the numbers, you can see I increased speed by 18%, decreased pitch by 17%, and increased tempo by 45%. Yes, that’ll be crazy fast, even on my Nano. I was happy with this result. You might not be. You can experiment with what you like by only feeding in a single MP3 file at a time in the next step, before you do all of them or the whole audiobook. Also, note that you can either speed things up to exactly how you want to listen to them, or you can speed them just a teeny bit on your computer, so that when you then listen at 1.5x or 2x on your iPod, it’s perfect. To test what the new file will sound like if sped up further by 2x or 1.5x, just open the MP3 briefly with VLC Media Player. (Click Playback > Drag the slider to 1.5 or 2 or whatever you want.) That way you don’t have to transfer it to your iPod each time. Once your chain is set up with its actions, go back to the main screen of Audacity. Click “File” and click “Apply Chain.” Navigate to where your MP3 files are saved on your computer, and select all of them.